If you want to make a major wedding shoe statement, black wedding shoes might the choice for you. Whether you're a black tie kind of girl or your style can best be described as "edgy," you know what they always say – black goes with everything! 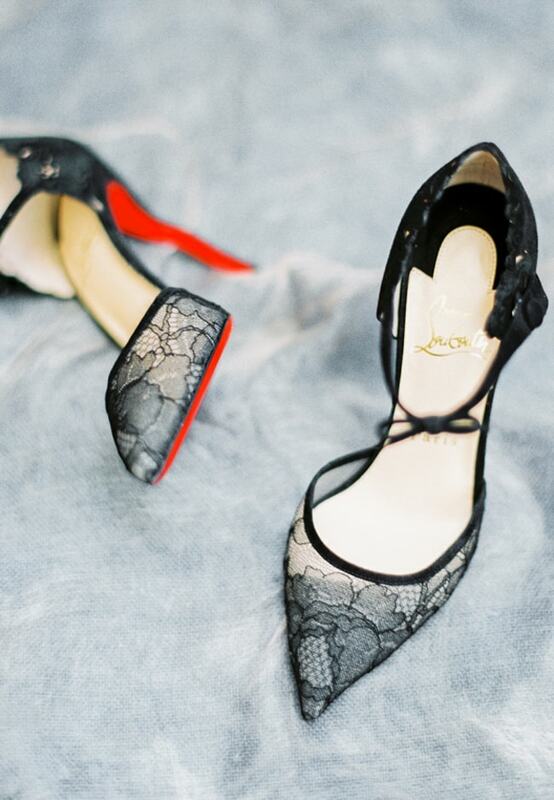 It’s normally Louboutins' red bottoms that get the most attention but the black lace on these heels is stunning. Crafted with a thick ankle strap, the lace fabric is classic and elegant while the pointed toe and extra tall heel offer a touch of sassiness, too. If lace isn’t your style, try adding a little sparkle. 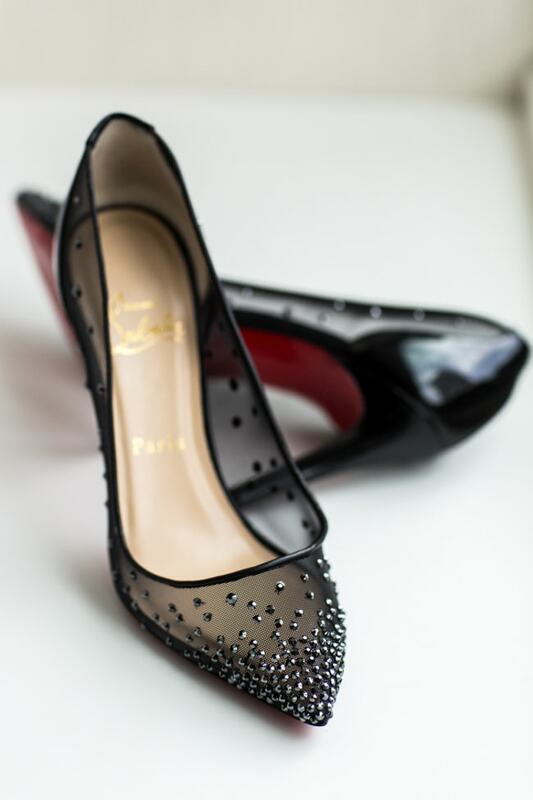 These black pointed toe Louboutins have tiny amounts of beading with sheer panels on both sides for a unique look. Take a walk on the wild side with these animal print Saint Laurent heels. The mix of white and black is fun and formal at the same time. You can dance the night away in these modern heels. Multiple straps give this pair a chic look while the sky-high heel will turn heads. For a touch of glamour, these peep-toed booties feature large black and silver embellishments down the front. Add a few black accessories or a black waistband to your gown to tie it all together. Whether you're giving off a timeless vibe or just want something to stand out against your white dress as you walk down the aisle, black shoes can achieve the look. If you want to give guests a reason to stare at your feet, black wedding shoes will definitely get their attention.